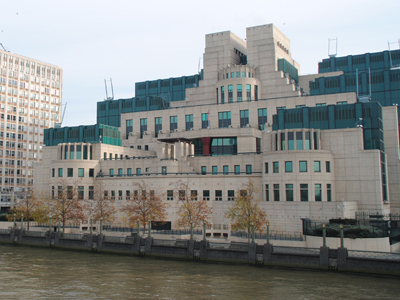 Making headlines last month was the discovery – by mudlark Martin Bushell – of a skull fragment found on the south bank of the Thames. While it was initially reported to the Metropolitan Police, radiocarbon dating soon discovered that the frontal bone (or piece from the top of the skull) was actually likely to be that of a man over the age of 18-years-old who lived in about 3,600 BC in the Neolithic Period. The Museum of London, who now have the fragment on display, state that traces of human activity dating from between 4,000-3,500 BC – mainly in the form of flint tools or weapons and pottery fragments – have been found along the River Thames floodplain. They say that those residing on what would be the site of London lived as semi-nomadic herders who supplemented their food sources by hunting and gathering and some agriculture. With some evidence that Neolithic people viewed the Thames as a sacred river, the remains could belong to that of a man dropped into the river as an offering – but the body may also have been swept down the river when his grave was swamped. 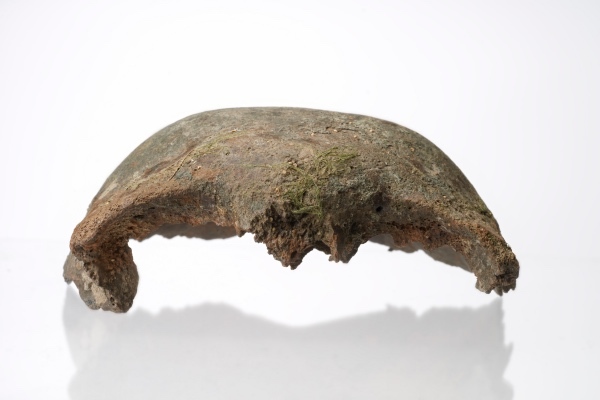 The skull fragment is on display in the museum’s ‘London Before London’ gallery. PICTURE: © Museum of London. WHERE: The Museum of London, 150 London Wall (nearest Tube stations are Barbican and St Paul’s); WHEN: 10am to 6pm daily; COST: free; WEBSITE: www.museumoflondon.org.uk. One of Britain’s most significant pre-historic sites, the small village of Avebury in Wiltshire – to the west of London – sits in the midst of a stunning series of standing stones, the remains of three vast stone circles built around 2,600 BC. A World Heritage Site, the vast outer circle of stones – which contains two smaller circles of stones and other associated stones – is around 3/4 of a mile in circumference and about 1,115 feet across the middle. It stands inside a three to four metre deep ditch which despite, the millenniums of weathering, still looks impressive to the eye. It remains a matter of speculation what the purpose of the ditch and the standing stones was, although some have suggested there was a religious purpose in their creation. 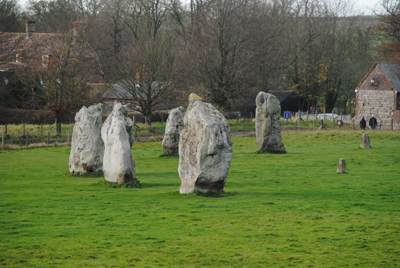 The stone circle (pictured) is now managed by the National Trust – see their website for opening times. Stretching away to the south-east and south-west from the stone circle are two great “avenues” of pairs of stones, known as the West Kennet and Beckhampton Avenues – perhaps the last of what were originally four avenues. West Kennet is by far the best preserved of the two. 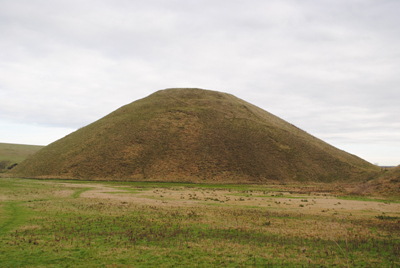 It’s worth having a car for there are several other Neolithic sites nearby including the stunning Silbury Hill (pictured below), located almost directly south of Avebury. At around 37 metres high it is the largest prehistoric mound in Europe (while you can’t access the site of the hill itself, you can get some stunning views from a carpark). Work on the hill is said to have started at about 2,400 BC but its not known conclusively when it was finished. Further to the south (1.2 miles from Avebury village) is the West Kennet Long Barrow, one of the longest burial mounds in Britain. Dating from about 3,700 BC, remains of 36 people were placed in here soon after it was first built. The barrow is open for inspection. To the east stands The Sanctuary, once site of a double stone circle. Back to Avebury village – which was originally founded in Anglo-Saxon times (a Romano-British settlement had stood further to the south) – and here, as well as exploring the stone circles, it’s worth taking the time to visit Avebury Manor. The manor is the former home of Alexander Keiller, who was responsible for much of the excavation work that took place here in the early 20th century as well as the re-erection of many of the stones, and is also said to have once hosted Queen Anne for a meal. Now a National Trust property, it recently starred in the BBC series, The Manor Reborn. Check the National Trust website for opening times – an admission charge applies. There’s also a museum, the Alexander-Keiller Museum, which was established by the man himself in 1938 in the manor’s old stable to display some of his finds (it now also includes the threshing barn), and a cafe and National Trust shop. While it is possible to reach Avebury by public transport, a car can be a good idea to get around to the various sites – particularly if under time constraints.